Financial Freedom and "Getting Rich" can be accomplished much cheaper than most people think possible. At this point, you're well on your way to getting financially free by operating your own book-publishing home business. It's time to discuss getting rich. You are going to use two corks for this. 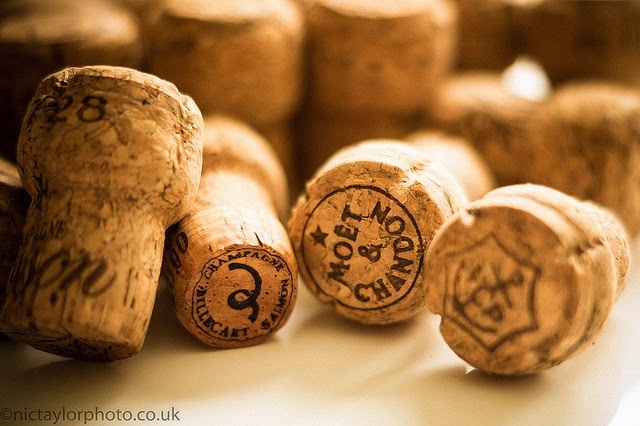 Corks have long been used to stop flows or open them. Cork 1: goes in all your income drains. Cork 2: comes out of all your conventional wisdom drains. Spend only on what you really need. Before I get into those simple strategies, we have to open another drain. The trick is to open your mind to constantly draining away useless conventional wisdom. Start developing the habit of critically analyzing everything you've accepted in the past and consider everything anyone is telling you to be just another scam. People are trying constantly to get you to do what they want you to. Marketers, Politicians, Family - these are probably the worst. Your boss and co-workers come next. A job is described as "Just Over Broke." Most of the really rich people are self-starters and usually entrepreneurs. Find these people. Study them. Figure out what you really want in life, then throw everything else away while you concentrate on that single goal. Hill's "Think and Grow Rich" is the key book you need to read, re-read, study, and keep re-reading regularly. You are here to fulfill a certain purpose, to live out a journey only you can take. As we are all individuals here, everyone else out there is here only to do that same thing - whatever their own purpose is. The trick is to find Mentors and a "Master Mind" of like individuals whose purpose aligns with yours. They are few. And you can find them in old books like Hill's and others. Surround yourself with only people who align to your own dreams. Let the others go away. Common Lie 1: A college education will help you get rich. a. Only if you use it. b. Also if you didn't hock your soul to pay for it. c. The richest people on this planet didn't go to or complete Ivy League educations. Knowledge is like any tool in a toolbox. It has to be kept sharp and it has to be used when the time is right. If you let it get dull, or simply don't use it, the most powerful tool is a waste. Student loans are the worst investment anyone can make, as is any loan - you start out in the hole, several hundred yards away from the starting line of making any income. Michael Dell (of Dell Computers), Bill Gates (of Microsoft), and Larry Ellison (of Oracle) all share one thing - they have been on the list of richest people on this planet for many years. The other thing they have in common is that they all dropped out of college. If you look up that list of top twenty richest people in the U.S, you'll see that all but two either dropped out of college or went to a no-name school. Bloomberg and Buffett were the exceptions. And Buffett only went to an Ivy League graduate school. Not going to college will get you started earlier in life. If you create your own "virtual college" by learning constantly from people who have achieved similar goals to yours, then you'll have the right teachers you need. I ignored college for years and burnt my middle-life working at a dead-end corporation. I left with no savings, no retirement, and debt. I went back to college to test out the idea that I needed some sheepskins to make money. This gave me more debt - but in seven years I got seven degrees. Then I found out that the "best-paying" jobs would require me to relocate again, go into more debt, and generally just set me up for more failure. At the end of a decade (3 more years), I narrowed down my business to publishing books online. Meanwhile, I'd paid off all my debts and credit cards. I cut my expenses down to what was manageable - so I was living within my means. Once my online income exceeded my monthly bills, I was financially free and no longer had to work for anyone else. All the work I was doing on a daily basis now contributed or not to increasing how rich I could become. Once your income routinely increases beyond your cost of living, you are on the route to Financial Freedom. Everything above that is "rich". Getting Rich Quick is an urban legend. It's a marketing ploy for Conventional Wisdom Suckers. Look up the back trail of anyone who's gotten rich "overnight" and you'll see years of study before they actually did. Every. Single. Time. Malcolm Gladwell in "Outliers" quotes the rule that it takes 10,000 hours of study before anyone can be outstanding in their field. That's between 7 and 20 years, depending on how much time you spend weekly at learning a particular field. The good part is that all your hard-won experience up to this point counts. Most of getting rich is having excess income that you can now invest in other income sources which you don't have to spend a lot of time managing. Real Estate is one. Mainly it takes time to accrue real value, and only buying properties which can bring you more rent than it costs in any mortgage. The key point is having excess income from your main goal first before you start studying up on these "Rich Dad, Poor Dad" schemes. The best income is passive. That's why this approach of book-publishing-as-a-home-business. Edit and publish a book and it will sell from here on out. Once you have a huge backbench of books which sell regularly, then you have more income than you need to run on. To make more income from these, improve their individual marketing - which also doesn't take a lot of money. Invest the extra income in additional passive income sources which need little management, and you are on the road to accumulating a whole stable of low-maintenance income sources - which are now making you rich. Rule: Get Financially Free first. Then reinvest extra income into additional passive income lines which don't require a lot of your time in management. Example: one of my books started selling well on Amazon. Someone contacted me about making an audio book. This version started selling well, doubling the monthly income for that book and paying the cost of creating it. Now that extra income is going to creating audio books for my other top-selling books. I don't need the extra income to buy more stuff - I just reinvest it in earning more income - getting richer. Clothing: What comfortable, durable clothes do you need, compared to what people are trying to force you to buy? Entertainment: Can you watch your favorite DVDs over and over, waiting to buy them when it goes on sale a year or two after it comes out? The price of a single movie ticket will cover the cost of several "discount bin" movies. Classic movies are regularly repackaged just for this purpose. Does the "party animal" in you result in more customers? Does consuming alcohol make you more productive? Open up some of those conventional wisdom drains and let the nonsense out of your life. Lifestyle: Are you "keeping up with the Joneses" or living simply and honestly only doing what makes sense? Did you know that home cooking is cheaper, more enjoyable, and healthier than fast food? If you buy a sturdy truck (they last longer than cars and have equivalent gas mileage) and pay it off, all your miles after that are basically free. Buying used is way cheaper than buying new. Keep it in paint and polish and it will soon be a "classic" that is regular and dependable. Housing: Rent until you can pay cash for your home. Consider this: Buy a mini-home built on a trailer and park it in your parent's or a relative's driveway. (Another link here.) That's quite a concept. Steve Jobs was living with his parents when he started Apple. You can buy pre-built mini-homes on wheels which are quite good looking and will give you everything you need in a very small version. Buy (or rent) a city lot with power and sewer hook-ups. Use the existing structure for your business. 2.Spend only on what you really need. You have a goal to achieve. Ask yourself for a month or so, every time you go to the store, "Does this purchase enable me to make my goal faster or better?" Once you've gotten this into a habit, then you'll find other habits coming in - like only shopping with a list, and ensuring all items on that list are within your budget. You do need to enjoy life. Get a copy of Stanley's "The Millionaire Mind" and you'll find that the rich are known as "cheap dates." Being frugal doesn't mean a sour existence. Yes, walking along a beach isn't the same as sailing a fancy yacht in the harbor. But the effect of getting peace of mind by communing with Nature doesn't have to be expensive. Do you think you need to impress someone with anything you do? Just check it over. Throw out what you don't really need. Buy only what you do. 3. Leverage everything you make to make you more. Any income you earn should be put to use making more income. This idea of a home business means that your home Internet connection should be making you money. Working at home already saves your commuting costs - your vehicle will last a lot longer if it's just used once a week or less. If you have a computer that plays your DVD's, it is also able to help you publish books that will sell and bring you more income? Get into the mindset that everything you have around you needs to contribute to your goal. This is what Napoleon Hill found out after he was suddenly insanely rich - having a fleet of Rolls Royce's and a huge estates didn't mean he got more freedom out of it. In fact, it meant he had to work harder so he could hire the people he needed just to keep up what he owned - maintenance costs. And he eventually lost it all and rebuilt his life. Lots of rich people find out that after they've gotten all these millions into their lives that they actually downsize their living to smaller houses and less expensive cars which are more manageable and don't drain their life and income continually. You're here to enjoy life. Being rich is also rich in spirit. Helping others is the way you earn extra income - by adding value to the lives which yours intersects with. Leverage all the income you earn so that you can add even more value to those around you - which will in turn earn you more income. Everyone wins. Get financially free by being frugal and using your common sense. Invest extra income into additional passive income sources. Enjoy living the life you are here for.